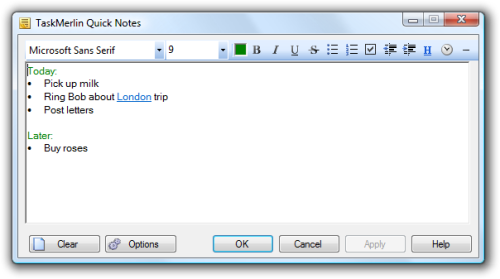 Use Quick Notes when you don't have time to create separate tasks. "btw... great application! I am impressed with the variety of information the application can store... I have used it to keep reference material that comes in digitally and have used it to take notes for a meeting having to do with a project."